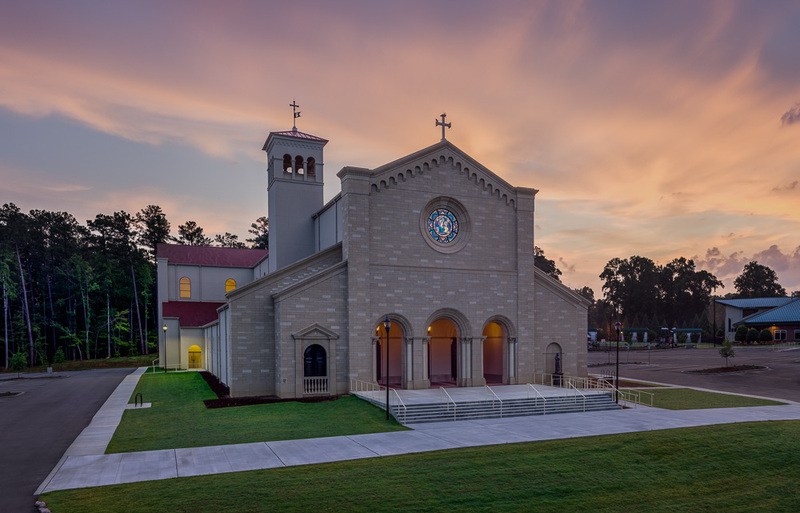 St. Catherine of Siena Catholic Church in Wake Forest, NC, takes a cue from the beauty and strength of Romanesque Catholic church design, the tradition of American Catholic architecture, and the medieval precedents as seen in the Tuscan region of Italy. 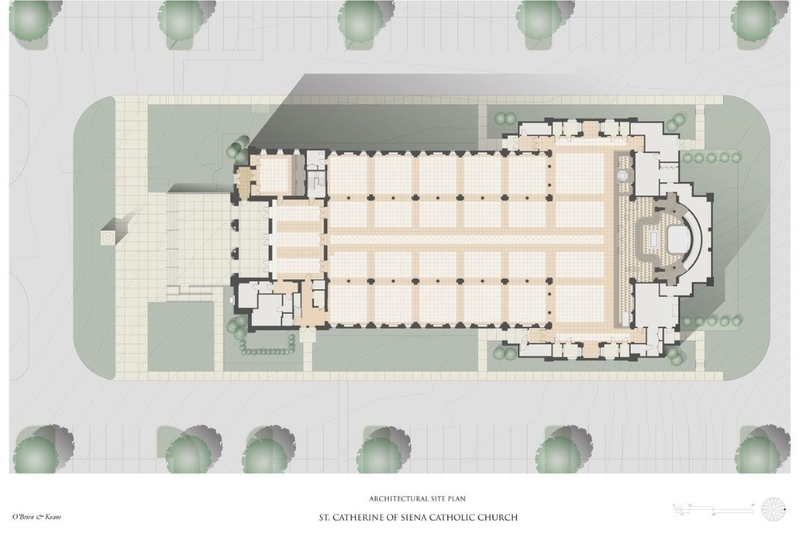 The church, with a seating capacity of over 1,700, features a cruciform plan, as is customary in traditional Catholic Church architecture. 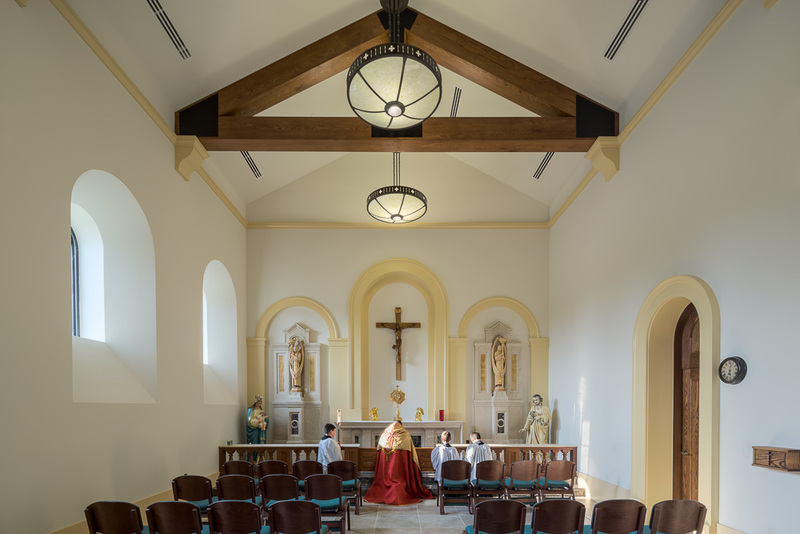 The church also includes an Adoration Chapel, raised Sanctuary, and a generously sized choir loft. 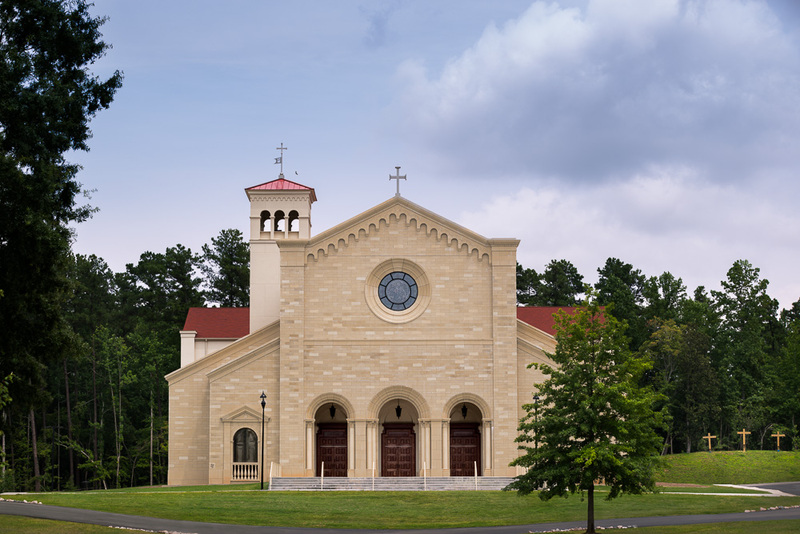 The solid masonry façade incorporates three arched entry portals, and a round window above. 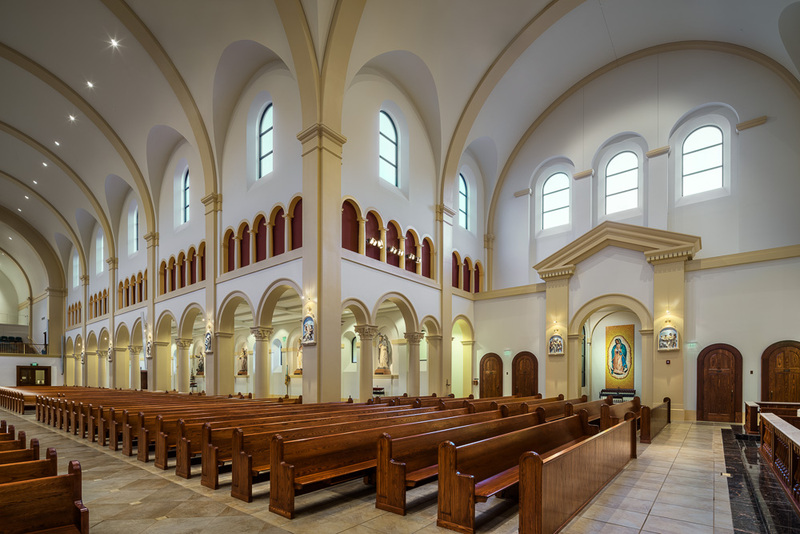 The richness of the architecture continues from the bronze chapel door and the statue of St. Catherine to the vaulted ceilings and semi-circular apse at the Sanctuary. 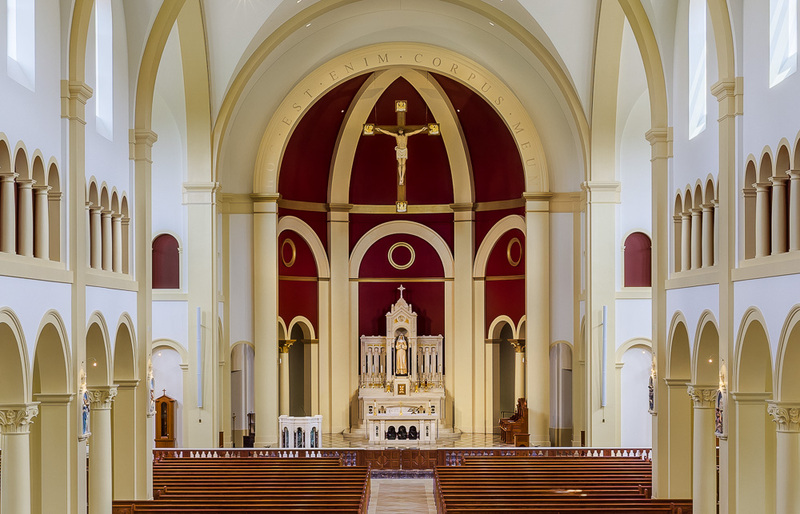 The Altar of Sacrifice is positioned directly below the rood arch, emphasizing the central mystery of the Catholic faith. 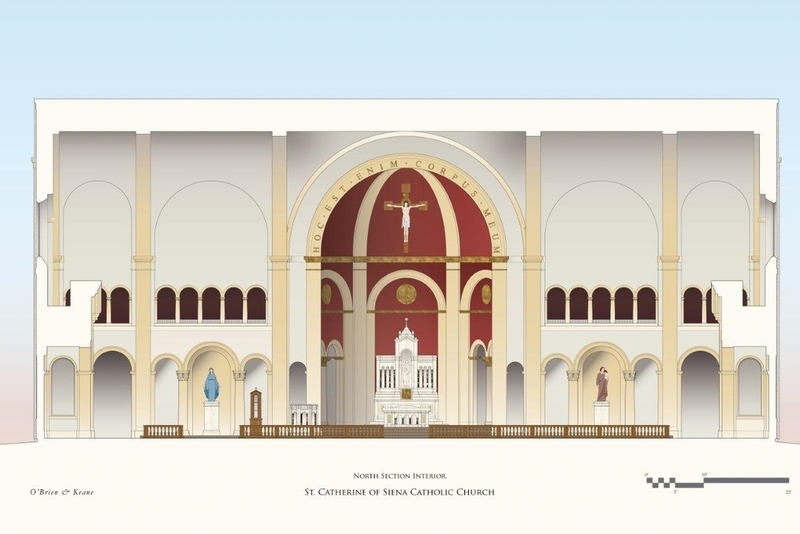 The tabernacle, housed within the eighteen-foot-tall marble reredos, is located in the center of the apse. 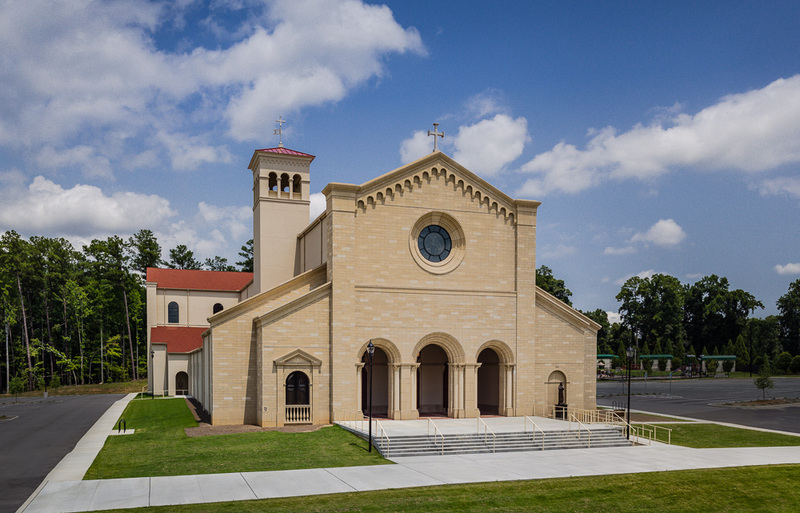 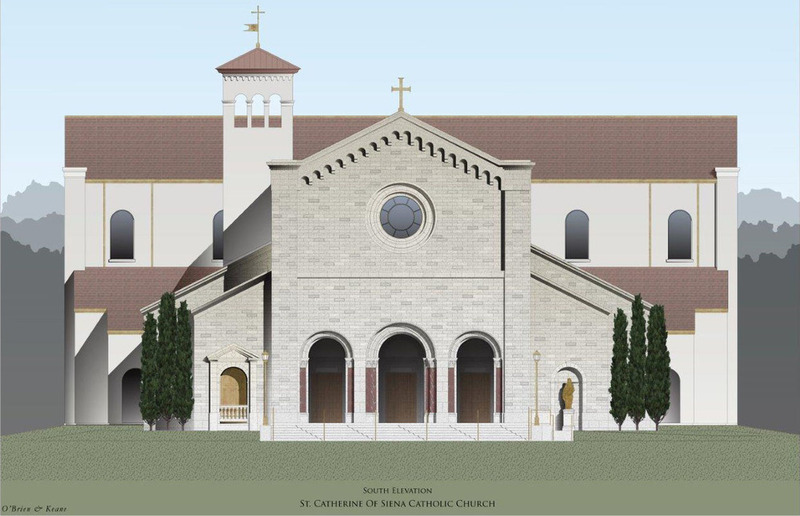 The church combines traditional Catholic church precedents with a modern-day approach to architecture and liturgical furnishings, and reflects the client’s commitment to sustainability, energy conservation, and indoor environment quality through incorporation of the latest advances in building construction and technology.